Precision agriculture techniques are becoming more advanced and more appealing, with an ever increasing number of farmers turning to precision ag to boost productivity and lower input costs, says Case IH Marketing Manager Stuart Brown. New innovations are making it easier for farmers to move into precision agriculture. For example, the latest Case IH AFS Pro auto guidance system will allow operators to set guidance paths from Google Earth Coordinates. “The machine does not even need to have been in the field when the guidance lines are set up. Farmers can set up their guidance lines from their living rooms, and contractors can set them up before they even get to the farm, and can run multiple machines on the same guidance pattern,” Brown says. 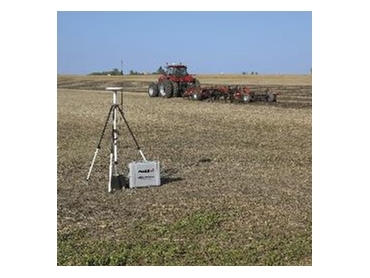 Meanwhile, local Case IH dealerships are helping farmers access the highest levels of precision by establishing their own Real Time Kinematic (RTK) base station networks. An RTK base station can deliver 2cm accuracy, compared with 10cm accuracy from a satellite subscribed signal. Victorian Case IH dealer JJ O’Connor & Sons was the first to install its own RTK network of this capacity. O’Connors had installed about 50 stations by January this year. “Other dealers are also setting up their own RTK networks, including our WA dealers who are purchasing a system that already has a coverage area of over 400 square kilometers,” Brown says. Brown says the advent of Google Earth compatible auto guidance systems and the establishment of local RTK systems is just the beginning. “Over time, operators will become process managers more than machinery operators as farming practices become more automated. “We’ll see changes to farming practice like an increase in night spraying, which allows farmers to take advantage of lower wind conditions, because autoguidance means visibility will no longer be an issue.